Wovens are not a one-trick pony! 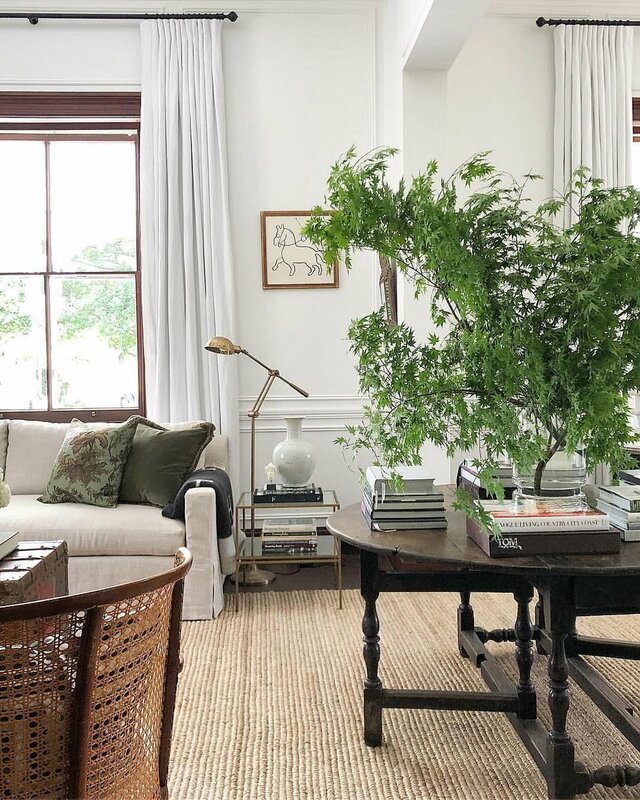 Some people naturally think they’re only for bohemian or coastal styles, but they are an organic touch that works in a variety of design styles. They’re oceanic and reminiscent of the sea, for a coastal space. Ropes can be seen in traditional homes, and woven light fixtures can be rustic or modern. 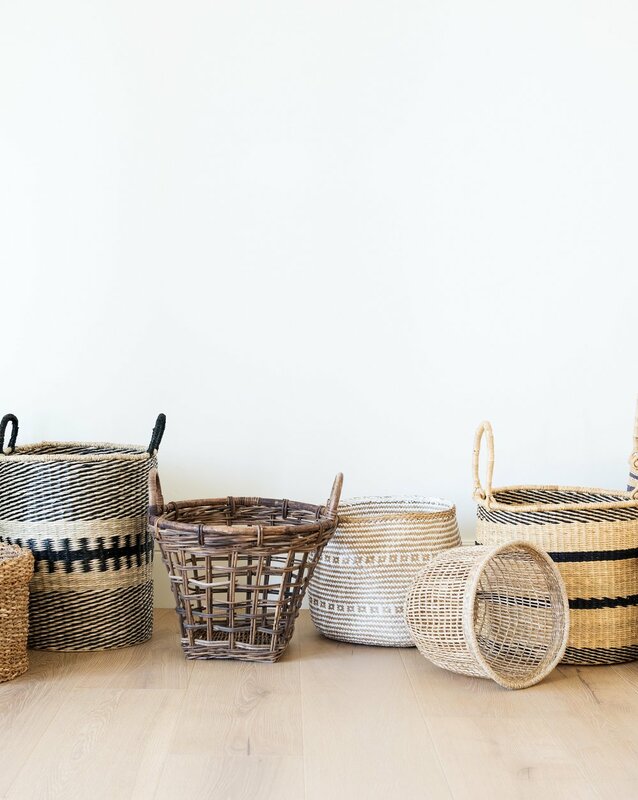 Woven baskets are a necessity in any room (hello storage! ), while woven furniture and rugs demand attention in the best way. Not sold? Try it out without commitment by using woven pieces of decor! We often see woven lighting in a curved modern shape, with a natural organic color palette. It’s the definition form and function, because they’ll light up the room while looking so beautiful they’re almost an art installation. Our Phoebe Bed is a top seller, for obvious reasons. It pairs beautifully in spaces that have other organic pieces, like simple botanicals. The tone on tone effect with the rope and wood is stunning! The woven build of the Hattie Chair contrasts with the black legs, and makes the light cushion stand out. It’s bright, coastal, and versatile. A woven side table does a perfect job of complimenting this incredible hallway without stealing the show. I mean, how could we take away from those windows? We juxtaposed the rest of the dining chairs with a Catriona Dining Chair at both ends! It gives the eye something to look at and brings an eclectic feel to the space. Our Wesley 4-Door Sideboard is just cool. It’s got substantial storage space, with adjustable shelving. Oh, and the woven seagrass is to die for. We’re just basket people. We believe you should always keep a handful close to use as a planter, laundry hamper, a home for toys, or just something pretty. Woven rugs bring an element of warmth and comfort! You can play with layering, or use as a runner. They work in kitchens, living rooms, kids’ rooms, bathrooms, and mudrooms! There’s no limit. As easier way to try out this trend is to snag a piece of decorative woven decor! Category: Decor Favorites, Design Tips, McGee & Co.